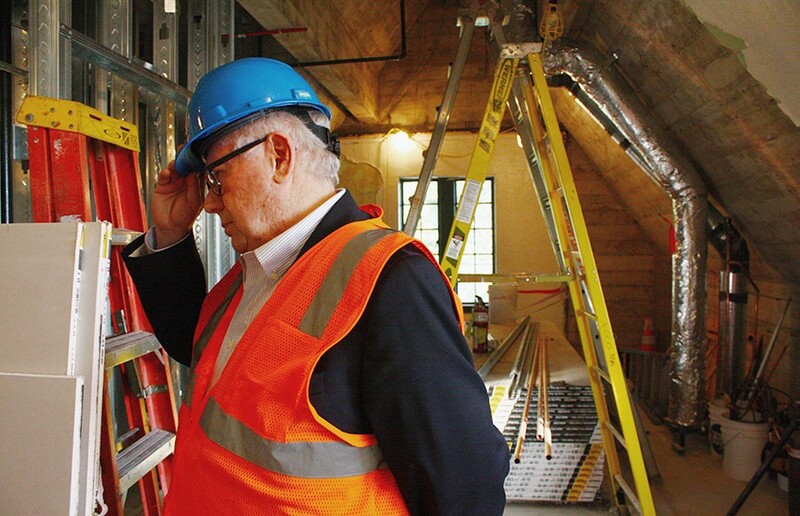 Back by popular demand, Bowles Hall— the nation’s first residential college— is set to reopen in August following extensive efforts made by alumni, faculty, and students. Unlike other campus residential halls, where underclassmen often live before moving off-campus, the planners of Bowles Hall intend for students to stay at Bowles for their entire undergraduate career. Besides the updated amenities the renovated building will offer — including its own library, dining hall, and main lounge— campus sophomore and prospective Bowles Hall resident Karina Yap is most attracted to living in the Hall because of the community it will foster. Additionally, Kevin Bai—future Bowles Hall resident and campus sophomore—is excited about the community aspect, especially the faculty and alumni connections the Hall will provide. Bai and Yap are currently members of the Phoenix Program, which is a group of 38 students currently living together at the Berk in a “test-run” before most, if not all of them, move into Bowles in the fall. “Once we all found our way into the (Phoenix) program, we all realized we weren’t just here for housing. We did actually want to build something,” said Anjali Suresh, campus sophomore and member of the Phoenix Program. The planning for Bowles Hall was initiated in 2005 by members of the Bowles Hall Alumni Association when members discovered that it had become a freshman-only dorm. “We had a very passionate small group that got the project going,” said Scott Wilson, BHAA member and the head of Bowles Hall residence recruiting. The $40 million enterprise was financed through Bowles Hall alumni donations and the issuing of revenue bonds on the open market. Three graduate students as well as the dean and principal of Bowles will be living in the Hall providing academic mentorship for the 186 undergraduates. Bowles principal Daniel Melia considers himself a product of the residential college system at Harvard, and believes that living with the same people cultivates friendships that students might not otherwise develop. “I hope that this smaller environment will create a college within a college,” Melia said. The dining hall is planned to be an important social center of the Hall. Bowles will not be a part of Cal Dining and its cost for residents will be included in their total housing costs. For the first time in the building’s all-male history, Bowles will be open to all genders. Yap noted that certain Bowles Hall traditions, such as their traditional songs, will need to be either edited or replaced to be more inclusive. “(I’m) being a voice for not only myself but for other women who come into the program in the future,” Yap said in reference to being one of the first non-male residents in the Hall. As part of the Hall’s updates, its elevator will be replaced with a much larger one able to accommodate a wheelchair. There will also be 10 mobility rooms designed for students in wheelchairs and 10 communications rooms available for students who are visually or auditorily impaired. “For the first time in the life of this building, someone with mobility issues will be able to live here,” said John Baker, Vice President of the Bowles Hall Foundation. Paul Butler, campus sophomore and Phoenix member, expressed that some have concerns with the relatively high cost of moving into Bowles Hall. It will cost $9,652 per semester for a double room and $9,764 per semester for a single in comparison to $7,703 and $8,684 respectively in the dorms. Nevertheless, Bowles Hall is still considered on-campus housing and residents’ financial aid will carry over to their housing costs. Significant funds for the reconstruction have been directed to bringing Bowles up to par with building safety codes, a task that at the time the university was not financially capable to take on, according to Baker. Roofs will be replaced, fire sprinklers installed, and a buttress in the rear side of the building to provide stability in case of an earthquake — which is particularly pressing since the building lies directly on the Hayward fault line. Wilson stated that applications are currently being accepted on a rolling basis, with some spaces reserved for incoming freshmen. And come fall, Bowles Hall will once again be an integral part of UC Berkeley for years to come. Contact Anna Dell’Amico at [email protected] and follow her on Twitter at @adellamico_dc.